HELENA, Mont. (AP) — Montana's Republican legislative leaders asked state officials Thursday to cut off Commissioner of Political Practices Jonathan Motl's pay amid a legal dispute over the commissioner's term of office. While the maneuver appears to be an attempt to force Motl out of office, Senate President Scott Sales, R-Bozeman, said the issue isn't about the commissioner himself. "It's not about the players or individuals involved, it's about the Legislature asserting its vested constitutional authority in these areas," Sales said. The sign outside the Montana Commissioner of Political Practices Office. Bullock set the end of Motl's term as Jan. 1, 2017 and the Senate's confirmation of Motl included that same date. But former lawmakers, state officials and trial attorneys filed a lawsuit saying Motl is entitled to a full six-year term that ends in 2019. Attorney General Tim Fox has intervened in the lawsuit, saying Motl's term is over. The Senate passed a resolution Thursday to step into the lawsuit and argue that the courts can't countermand the Senate's confirmation process. Motl said Thursday that he was unaware of Sales' and House Speaker Austin Knudsen's attempt to withhold his salary, but added that he's sticking around. "If something were to occur that would injure the authority or respect of the office, that's what would cause me to leave," Motl said. "Would payment do that? No. That's not enough to cause me to quit working." Senate President Scott Sales and House Speaker Austin Knudsen. Sales and Knudsen, R-Culbertson, sent Secretary of State Corey Stapleton an undated letter asking Stapleton to withhold Motl's salary until a new commissioner is appointed. The commissioner of political practices' office is attached to the secretary of state, but Stapleton said his office has no administrative oversight of Motl. "That leaves me with no recourse," said Stapleton, a Republican. Instead, he recommended Sales and Knudsen take their request to the Department of Administration. Stapleton referenced a state law that says an official's salary will be withheld if there is a court proceeding contesting that official's title. Knudsen and Sales sent a letter to Department of Administration Director John Lewis Thursday, citing that law and saying, "We expect your department to adhere to it." 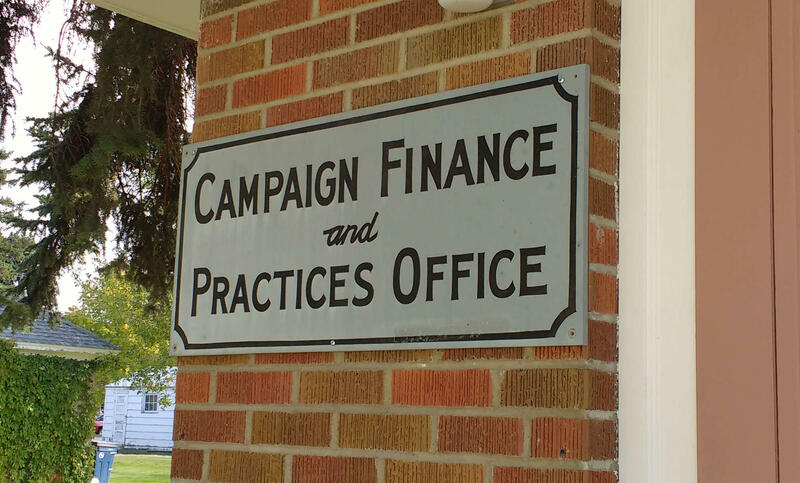 The commissioner's office, which determines campaign violations of candidates and elected officials, has been the subject of much political wrangling. Republicans have objected to Motl's actions in office as biased against them, which Motl has denied. Sales said that case, and the tension between Republicans and Motl, aren't driving his actions now. "That isn't the issue," Sales said. HELENA, Mont. 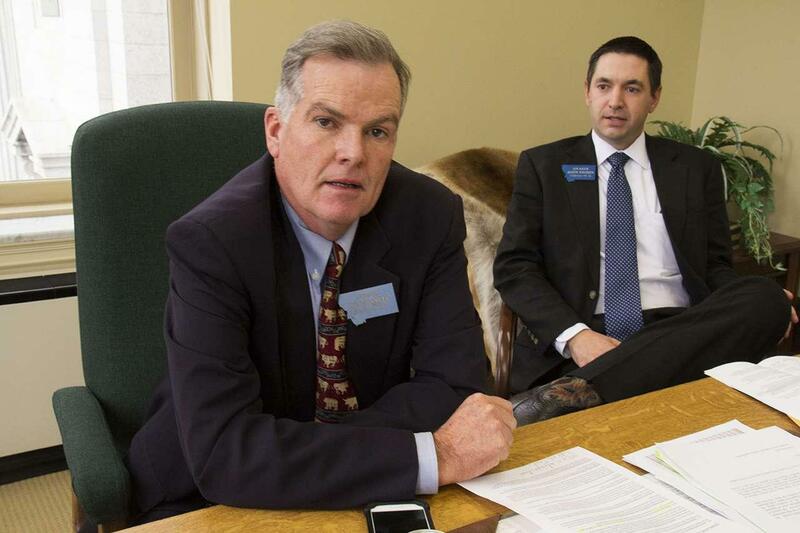 (AP) — Senate Republicans who oppose giving Montana Commissioner of Political Practices Jonathan Motl a full six-year term in office want to intervene in a lawsuit that aims to do just that. Senate Majority Leader Fred Thomas, R-Stevensville, told his GOP caucus Tuesday that a resolution will be introduced as early as Wednesday defending the Senate's confirmation process, which set Jan. 1 as the expiration of Motl's term. HELENA, Mont. (AP) — Montana's fish and wildlife agency is appealing a ruling that it violated the state's ethics laws by allowing equipment it owns to be used to advocate against a ballot initiative. A new bill in Montana's Senate would decrease the amount of information people who donate to political campaigns must reveal to the public.